Home Unlabelled Coou News: 32 SUG aspirants disqualified. 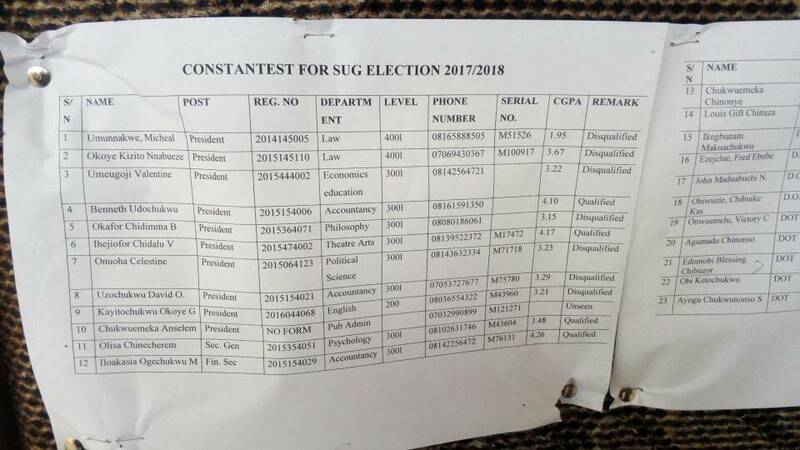 Coou News: 32 SUG aspirants disqualified. In preparation for the forthcoming Student Union Government election of chukwemeka odumegwu ojukwu university which will be taking place on the 15th of December 2017, The chairman and board in charge of SUG Electoral conducts disqualifies 32 candidates. 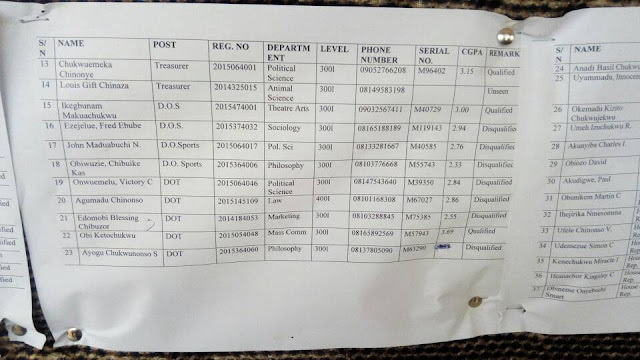 According to the chairman he said, "The reason we disqualified them was because of their CGPA was low, while some of them we couldn't find their mark." For some candidates, they complained that their Mark was very high. 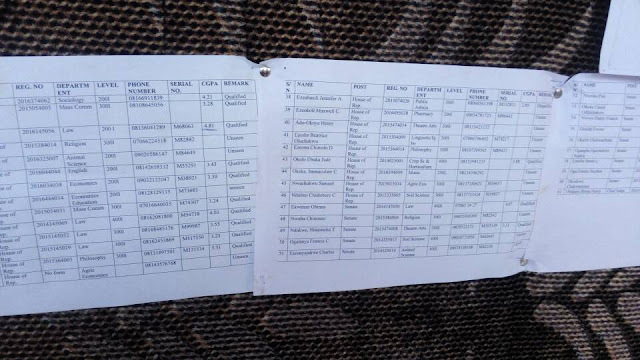 Many candidates was found jubilating because their opponents was disqualified. The surprising one is a candidate who has 1.95G.p after 3academic sessions. How possible is that?